Last month, the Department of Architecture at the University of Strathclyde hosted a seminar on the digitisation of the built environment and how digital is disrupting the construction sector. 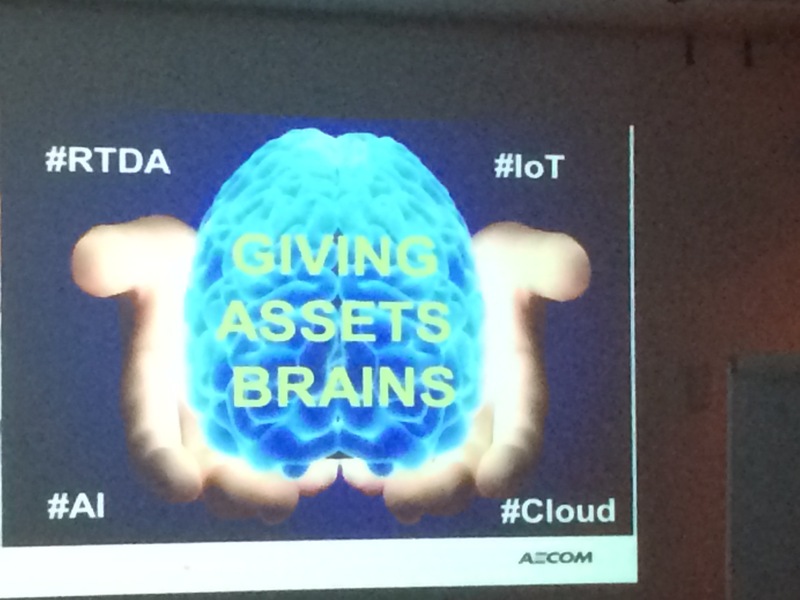 The event focused on the use of Building Information Modelling (BIM), and its use in Scotland in particular. As defined in the UK government’s industrial strategy, BIM is “a collaborative way of working, underpinned by the digital technologies which unlock more efficient methods of designing, creating and maintaining our assets”. Specifically, it embeds key product and asset data, and a 3D computer model that manages information throughout a project’s lifecycle. BIM has been described as a “game changer” for the construction industry, and can be used in the construction of new buildings as well as retrofitting and refurbishment. 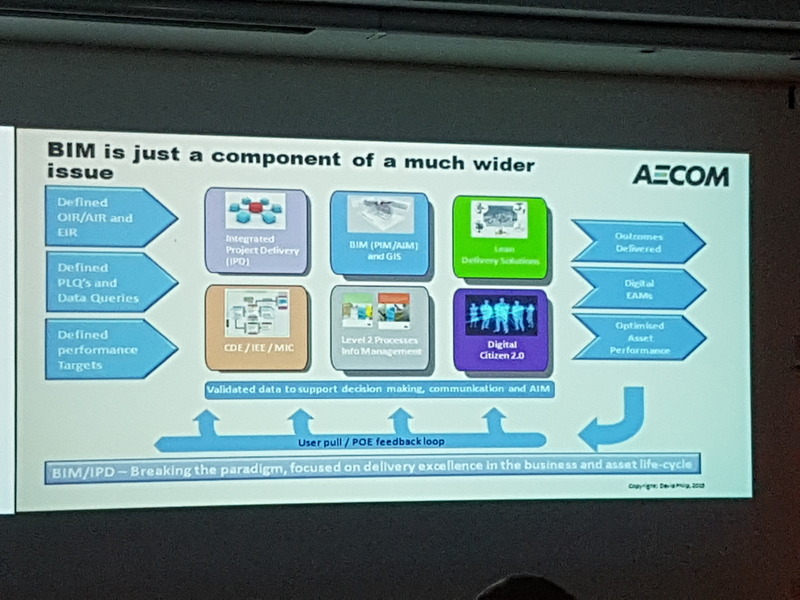 The first presentation came from David Philp, Global BIM/MIC Consulting Director of AECOM and the Chair of the Scottish Futures Trust’s BIM Delivery Group. The Group was established on the recommendation of the Scottish Government’s 2013 Review of Scottish Public Sector Procurement in Construction, and tasked with delivering a BIM implementation plan for the country, which was published in September 2015. David focused on the pathway set out in the implementation plan for Scottish public sector projects worth over £4.32m to adopt Level 2 BIM by 2017, as recommended by the 2013 review. In England, the industry was required to have adopted Level 2 by April of this year; a recent survey carried out by Construction News found that almost 70% of main contractors, consultants, professional services and clients had either fully embedded the Level 2 standards into their systems, or were using Level 2 when it suited the project. The suitability of different levels was something that David stated was important to consider on a case by case basis – while the goal is to be Level 2 capable, sometimes Level 1 may be more appropriate. This is different to the approach taken in England, where the government has mandated that only Level 2 should be used from now on. As highlighted by David, the Chancellor’s latest Budget also included a commitment to “develop the next digital standard for the construction sector – Building Information Modelling 3 – to save owners of built assets billions of pounds a year in unnecessary costs, and maintain the UK’s global leadership in digital construction”. 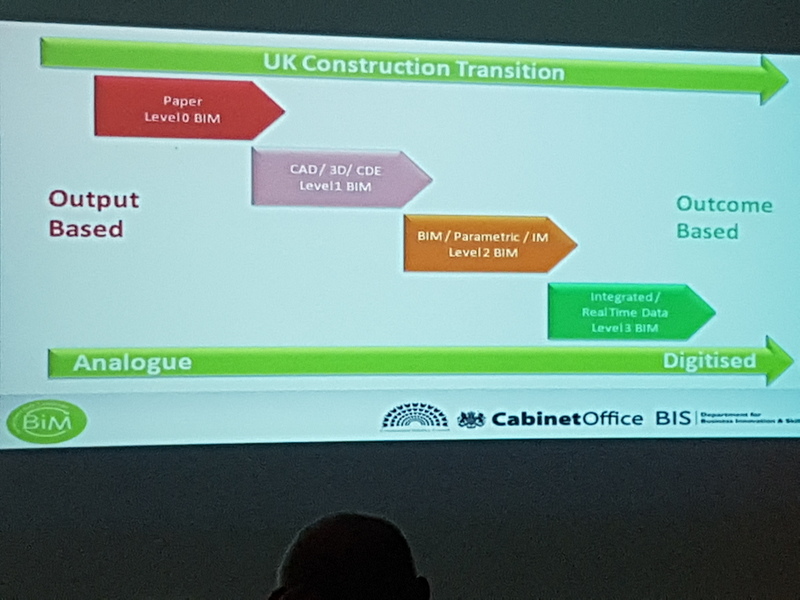 David also described the benefits of using BIM, particularly Level 2, in construction projects, in terms of efficiency, reducing risk and the creation of more sustainable and intelligent infrastructure. He also touched on the use of BIM in the construction of the High Speed rail link between London and Birmingham (HS2), due to begin in 2017. BIM has been described as the “backbone” of the HS2 project, which will be the largest BIM project undertaken in Europe so far. The seminar concluded with a presentation by Professor Kumar, Head of BIM at GCU’s School of Engineering and Built Environment. Professor Kumar, who works with David Philp as part of the BIM 4 Academia Working Group spoke about his department’s work in embedding BIM into the taught curriculum of the courses they offer, as well as his work in developing a BIM strategy for NHS Scotland, which involved mapping their existing processes to BIM processes. 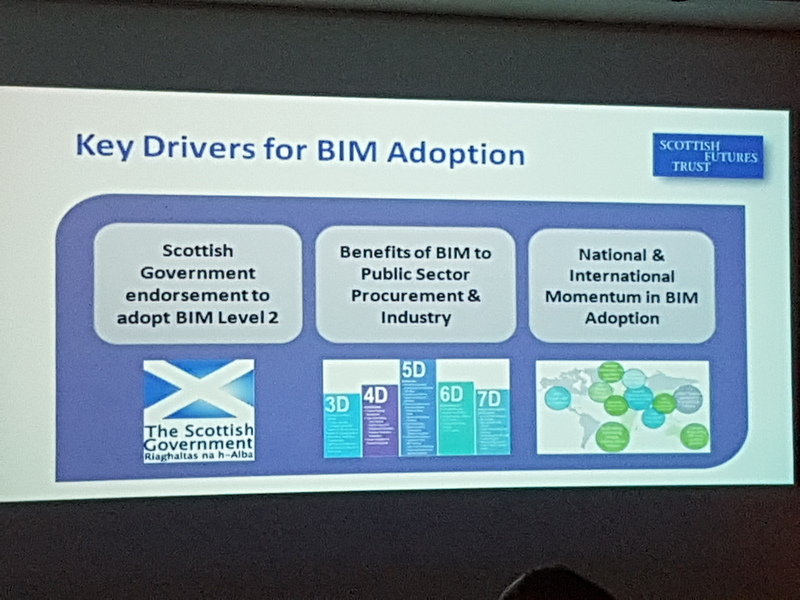 Professor Kumar also shared some of his personal opinions on the adoption of BIM in Scotland, stating his belief that it will take another 30 years before Level 3 is fully adopted. He emphasised the need to ‘demistify’ BIM, as too many organisations still think that it will cost them too much in terms of effort and money to comply with the standards. Overall, the seminar offered a good opportunity to find out more about something that, while mystifying to most, is set to transform the global construction industry.